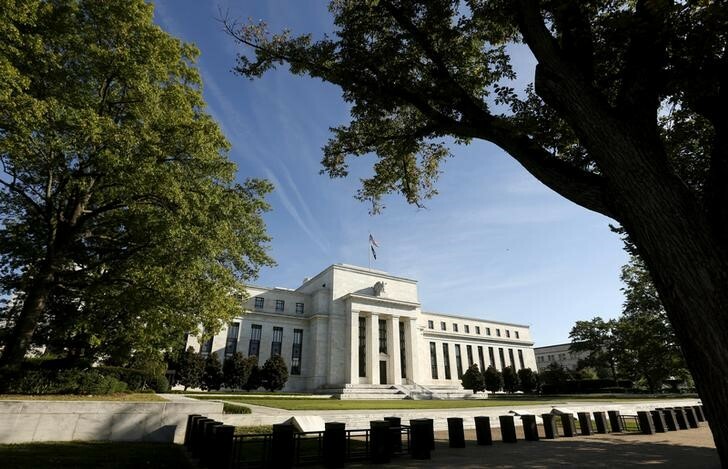 NEW YORK (Reuters) – The Federal Reserve may need to slow interest rate hikes, if policymakers in Europe battling sluggish growth fall behind unwinding central bank accommodation, a U.S. investment strategist said on Tuesday. Cresset Wealth Advisors’ Jack Ablin, whose firm predicts four Fed rate hikes in 2018, including one next week, said in the Reuters Global Markets Forum online chat room that a stumble by the European Central Bank in ending its massive bond-buying program would add to upward pressure on the U.S. dollar. Question: What is your take on interest rates, as next week’s Federal Open Market Committee meeting approaches? Q: What is causing that? A: We suspect the 10-year yield is being held down by the ECB. The ECB looks to remain in QE (quantitative easing) mode until the fourth quarter. We suspect they’ll blink in response to political uncertainties and economic disappointments in the euro zone. Q: Would that affect the FOMC and the U.S. economy? A: The policy difference would continue to push the dollar higher … Excessive dollar strength is on the Fed’s radar, but not a current concern. Dollar strength tends to attenuate growth. That would put their policy on hold, if they felt the greenback was too strong. Q: Looking at the markets, do you see bargains anywhere? A: The S&P 500 looks relatively cheap when gauged against next year’s earnings. Longer term, the index looks expensive. We suspect investors are predicting “peak” earnings in early 2019. Overall, there are no “cheap” markets by traditional standards. Foreign developed and emerging markets are trading at a valuation discount to the United States, however.